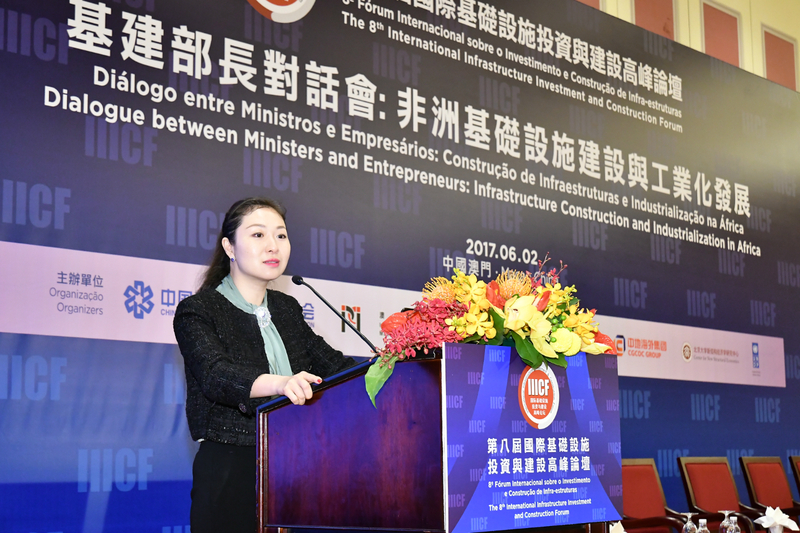 On June 2nd, 2017, the Financial Center for South-South Cooperation (FCSSC) attended the 8th International Infrastructure Investment and Construction Forum (IIICF) held at the Venetian Macao, with its Vice Director-General Ms. Joyce Zhang delivering a speech on the Parallel Forum “Dialogue between Ministers and Entrepreneurs: Infrastructure Construction and Industrialization in Africa”. 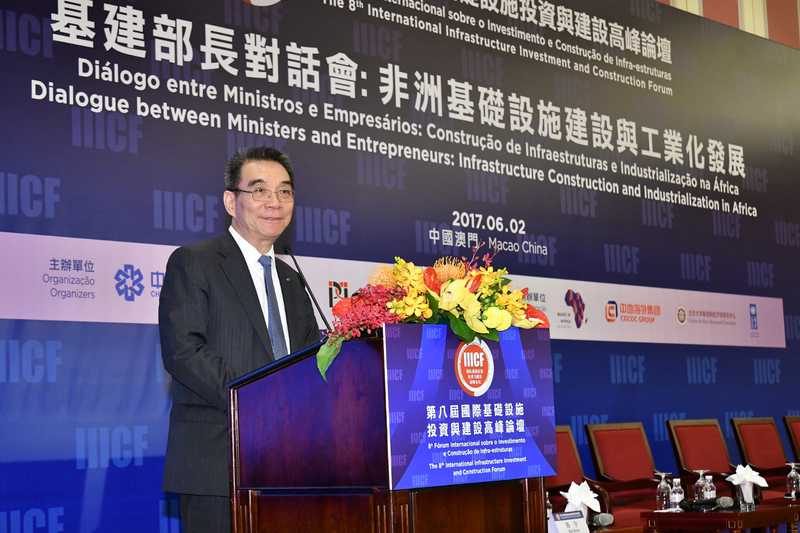 Other guest speakers included Professor Justin Lin Yifu, the Honorary Dean of National School of Development (NSD) at Peking University, Ms. Agi Veres, the Country Director of UNDP China, and Mr. Kwasi Amoako Attah, Minister of Road and Highway of Ghana. These representatives of government officials, entrepreneurs and academics had an in-depth discussion on the economic transformation of Africa. 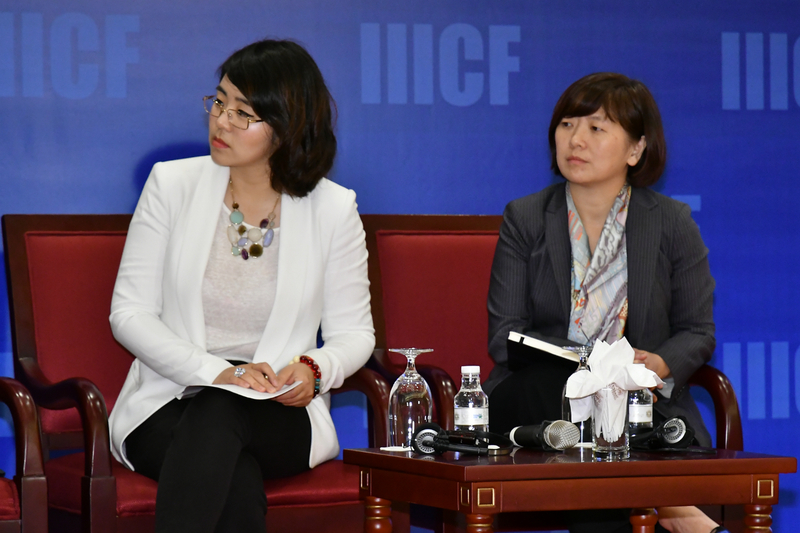 Ms. Joyce Zhang gave a speech at the Forum on “Paving the Way for Private Investment to Better Support Industrialization in Africa”. She suggested that investments in infrastructure were crucial to propel industrialization in Africa. However, the capital demand was too huge for governments to meet solely, which created vast opportunities for private capital. Some private investors were interested in investing in Africa but facing many challenges in terms of local politics, industrial policy and regulations, etc. Hence, how to better attract private capital turned out to be critical to industrialization in Africa. The first is information. Through organizing key events like the annual “Silk Road Forum”, “One-Belt-One-Road Inclusive and Sustainable City Exhibition and Dialogue” and the “South-South Education Program for Economics and Finance”, the FCSSC has built platforms for information sharing among the Chinese government, enterprises and African countries, which enable those enterprises to better understand the capital demand and investment opportunities in Africa and also help them to tailor-make trips to Africa according to their specific business needs. The second is return. The FCSSC has determined to diversify the return models for private investors, therefore it works closely with the UNDP Social Impact Fund to create a system that recognizes, quantifies and certifies social impacts for companies to receive not only financial returns, but also recognition from governments and people when making investment. The third is risk. On one hand, through triangular cooperation between the private, public and international organization, the FCSSC helps African countries to build industrial parks so as to mitigate policy risks, create stable environment for private investments and organize field trips for these companies. 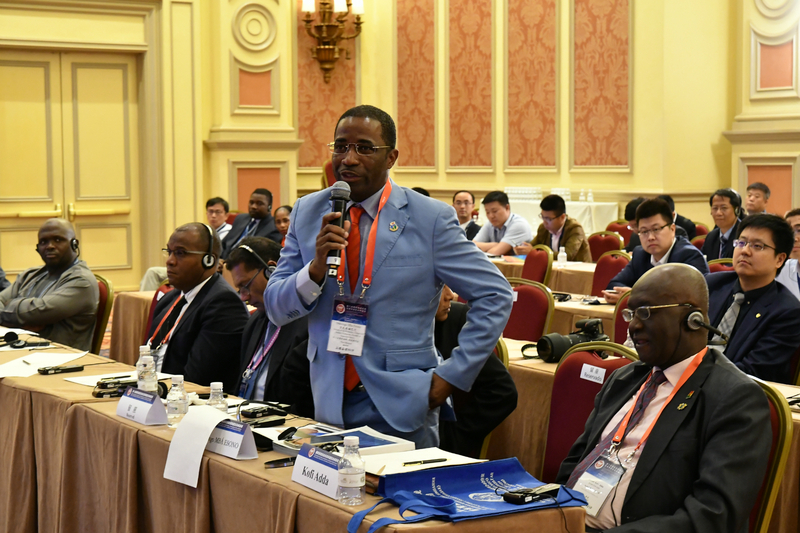 For instance, last year the FCSSC worked closely with Professor Lin’s team from Peking University, the “Made in Africa Initiative” and China Citic Group to successfully launched a Free Trade Zone project in Djibouti. On the other hand, the FCSSC also help those private companies to deal with risks like the foreign exchange fluctuation. Last but not least is investment channel. The FCSSC has been working with capable professional managers under the South-South Cooperation and Belt-and-Road Initiative to create investment channels to match up fund and projects between Africa and the international capital market. For example, the FCSSC has established the “South-South Cooperation Fund” in collaboration with the UNDP Social Impact Fund, and set up the “Belt-and-Road Fund” with China Everbright Securities International and Oriental Patron Financial Group. These partnerships can draw international capital, talents and technology towards developing countries like those in Africa while creating commercial value for different stakeholders. Ms. Zhang’s speech was warmly echoed by the participants, who promised to work hand in hand to attract more Chinese companies and capital to invest in Africa and contribute to the Continent’s development. As the former Chief Economist and Senior Vice President of the World Bank, Professor Lin shared his view of China’s development experience with the participants. 30 years ago, when China was still very poor, there seemed to be no chance that China could become an upper-middle-income economy. However, China has achieved the dream within two generations. Thus it has been heatedly discussed if the “China Model” can be copied to the African continent. Though African countries received a lot of development proposals before, most of them were based on economic indicators of high-income countries, regardless of the different factor endowments between high-income and developing countries. For instance, developing countries could not support the development of capital intensive industries due to the lack of sufficient capital. In this case, China and East Asia resorted to another approach by identifying their comparative advantage—cheap labor instead of capital, and then developing labor-intensive industries to boost the economy. Though we could not directly copy the “China Model” to Africa, we might be able to help African countries to learn from our experience to find their own competitiveness. Meanwhile, for enterprises the most important thing was to make money, as they were neither charities nor international organizations, how to balance their profitability and contribution to local development? Generally speaking, African countries were rich in resources. Therefore, if an enterprise did business in infrastructure and helped the host country to export those resource-related industries into the international market, definitely both the host country and the enterprise would benefit from the business. On the other hand, African countries were rich in labor too, thus those enterprises doing projects in Africa might think about how to create strong infrastructure to turn these labor resources into major production inputs so that they could enter the market with lower price and cost. Established in 2010, the IIICF is an international forum focusing on infrastructure investment and construction. Set up by the China International Contractors Association (CICA) and with the approval of China’s Ministry of Commerce (Mofcom), it aims to promote international reciprocal cooperation on infrastructure investment and construction. 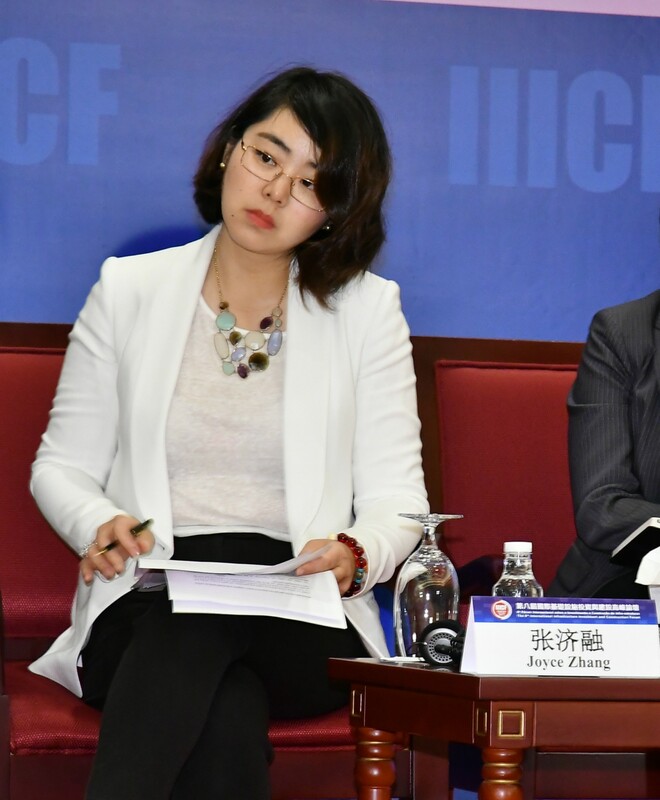 This year’s event was jointly organized by the CICA and the Macao Trade and Investment Promotion Institute (MTIPI), with the Mofcom, the Government of the Macao SAR, and the Central People's Government Liaison Office of the Macao SAR serving as the advising units. 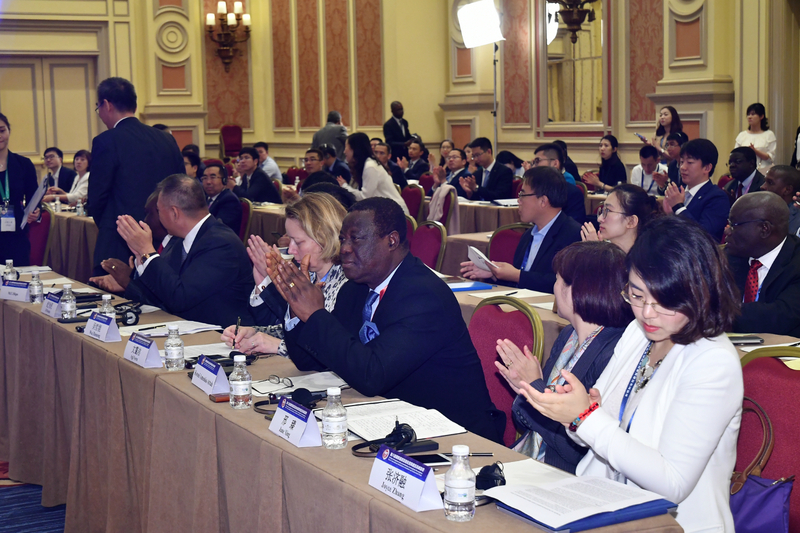 Under the theme “Collaboratively Build a Diversified, Innovative, and Sustainable Infrastructure with Industry Connectivity”, this year’s agenda included the initiative of the "Belt-and-Road", international production capacity cooperation, infrastructure construction, industrialization development, financial innovation, cooperation on industrial investment, smart city and sustainable development of infrastructure. More than 1,700 leaders from the industrial sectors in 63 countries and regions, including 57 ministerial officials, executives of 32 international financial institutions such as the World Bank and Asian Infrastructure Investment Bank, and representatives of more than 630 enterprises such as the International Contractors Association, contractors, equipment manufacturers, advisory services institutions, and industrial services chain providers, were motivated to participate in this forum. 14 thematic and parallel forums were held during this year’s session. Among others, the Parallel Forum “Dialogue between Ministers and Entrepreneurs: Infrastructure Construction and Industrialization in Africa” focused on infrastructure investment and construction in Africa. The moderator of the forum was Helen Hai, the Goodwill Ambassador of UNIDO and Chief Executive Officer of Made in Africa Initiative. 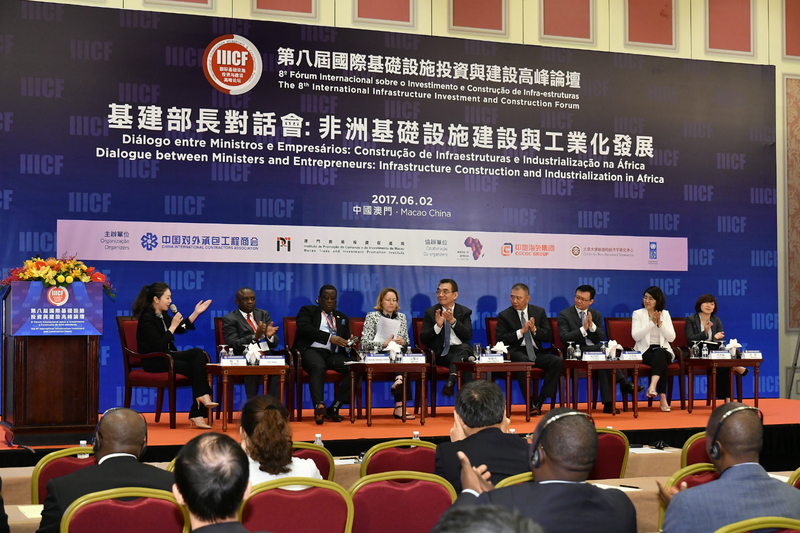 In addition to Ms. Joyce Zhang and Professor Lin, speakers also included Ms. Agi Veres as the Country Director of UNDP China, Mr. Ji Weimin as the President of CGCOC Group, Mr. Wu Zheneng as the Vice President of the Department of Marketing Development and Consulting of China-African Development Fund, Mr. Kwasi Amoako Attah as the Minister of Road and Highway of Ghana, Mr. M.C.Okpo as the Acting Permanent Secretary of the Nigeria Niger Delta Affairs Department, and Ms. Xing Zhen as the Director of the Department of Strategy and Investment of Bill & Melinda Gates Foundation in Beijing.